I 'll wait till the golden tag step. I assume this is the BFEE thread where I was told to post. 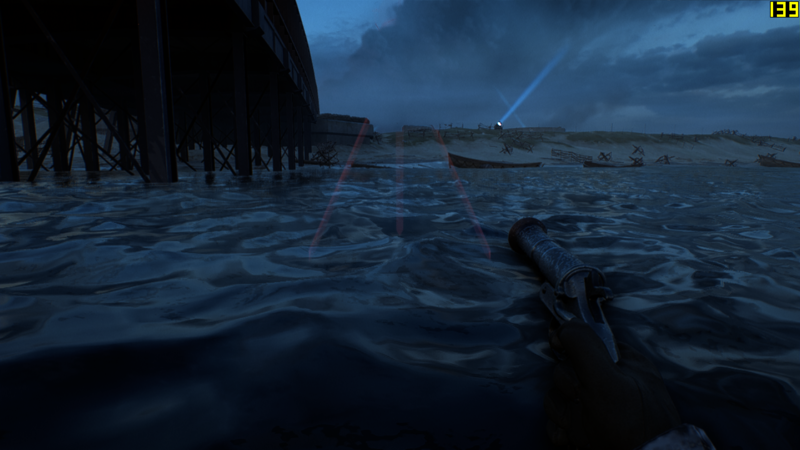 I heard a wolf howling while using an AA gun on Zeebrugge near the D flag. The moon was full at the time, not sure if that matters. I didn’t have a chance to look around as it was pretty hairy in the area. 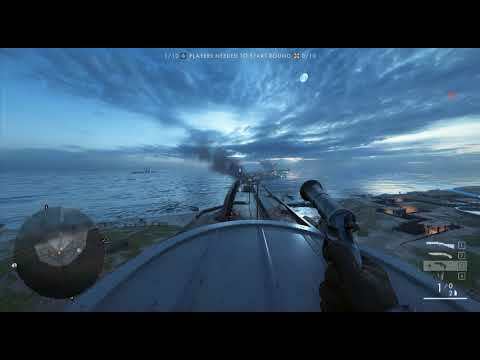 It had filtered sound like the zombie door on Ft Vaux and the master man final Morse message. I love Jack, but he's not the only YouTuber. Masterman Easter Egg Part 4 Solved! a smoke grenade drops and is heard along with other sound effects. 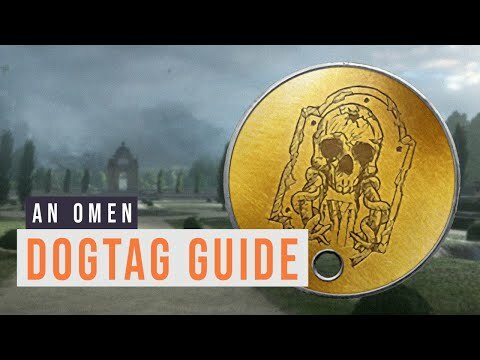 The reward is the golden "An Omen" dog tag. Jesus. Nice job BFEE community. This looks a tad more complicated than Phase 3. The two phases which took the longest and shortest amounts of time to solve, lol. So,now all that's left is the real reward when apocalypse comes out. Hope it's something we can use. You can use the dogtags and the skin. 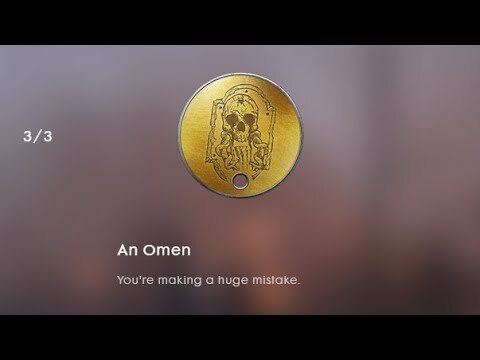 Do I need to do the Omen dogtag in just one server visit or can I leave a server after getting the morse code and then join a new one(but not to get the morse code again) to continue the process? From my experience, it's always a new one. It's easy though, I was able to finish mine in under 15 minutes (10 mins to transfer the audio file to a program) and 5 figuring out what generator to interact with. Ok thanks for the reply. Im playing on PS4 and I dont have a PC. I think this one is going to be much harder for me to get bcz of that since Im doing this puzzles by just saving the audio video, playing it over and over and listening to it until I get all the codes and translate it to letters. That's what I did to the first MM puzzle. (the bronze one) Audio recording translator apps on phone won't work for me.. 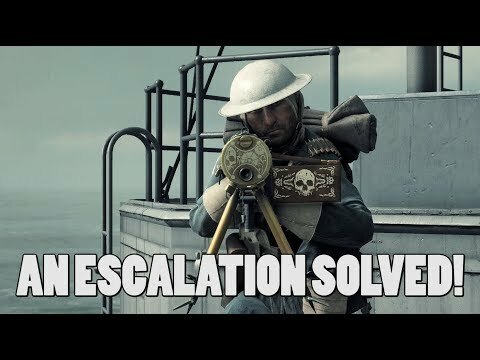 I broad castes my gameplay to youtube right before I climbed the tower till right after my morse code ended. 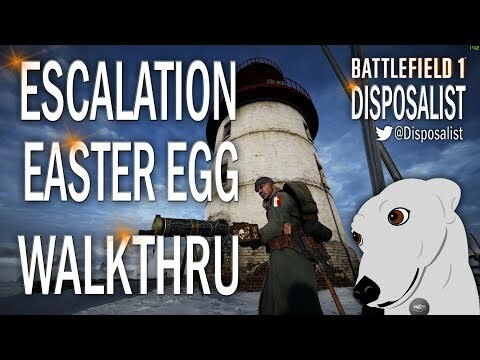 I then copied that YouTube link and posted it in the bfee(battlefield Easter egg) discord channel. I posted in the omen help page and ask if someone code decode it for me. I did these two in 90 minutes, nothing compared to the BOW in BF4. It took me WAY longer than it should of to get the escallation. Twice I got to the light house and both times a player joined the server with the sole purpose of destroying the light house. Plus it took me ages to figure out what was the beginning of the morse code. I dont have it in me to start the 2nd morse code thing tonight. Had the same problem first thing they'll do is blow up the lighthouse. Suxs theres alot of trolls out there. 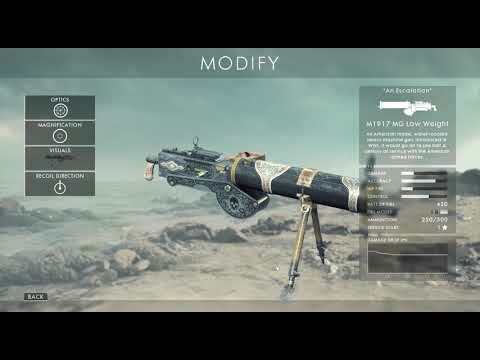 Help with the escalation skin !!!!!!!!!!!! Please can someone decode this for me, ive spent hours but cant do it. it is something alone the lines of: - - - - - . - . . . . .